Concord Rangers have a great nickname - 'The Beach Boys' - one of my favourites in non-league football. Sadly they are not named after the American rock band. Instead, it derives from the location of their original pitch. alongside Canvey Island seafront. I'd not seen them play before, but they had enjoyed plenty of success in recent years. In 2008 they won the Essex Senior League, not for the first time, but on this occasion, they were able to take the promotion. They didn't rest on their laurels however and 2 promotions later they find themselves in the Conference South, under the same management team that took them out of the Essex Senior League. This turned out to be Danny and Nicky Cowley who went on to achieve great success with Braintree Town & Lincoln City. St Ives Town were also at step 5, as recently as last season. Being runners-up to Holbeach United in the UCL Premier Division was enough for them to gain promotion and they have adjusted well to life at the current level. 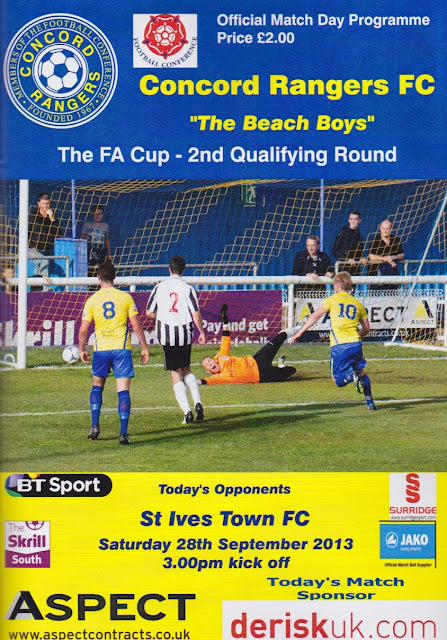 I only have a few teams to do in the Southern League Central, so no doubt I will be visiting St Ives soon. 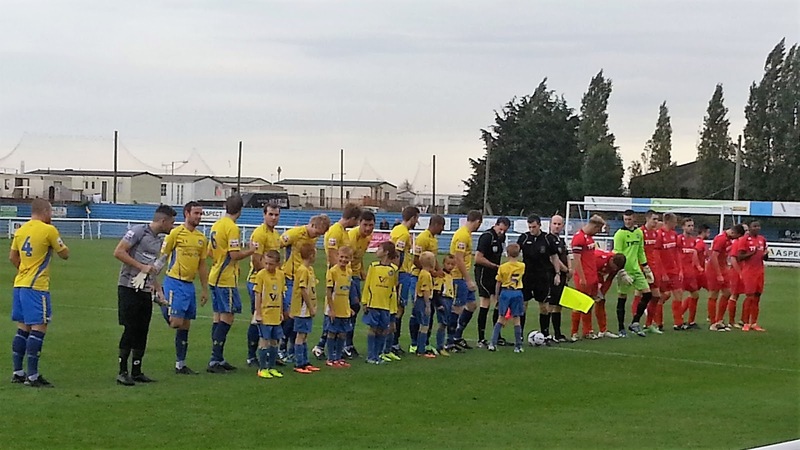 That, I did and looking back as I give this blog a tidy up, five years later, I wish I'd written a better history for Concord Rangers and done my research more thoroughly. After my continental midweek adventure in Rome, it was back to the UK and the second qualifying round of the FA Cup. I had been to at least a game in every round of the cup and was keen for this to continue. In fact, it was my 6th FA Cup game of the season and my 34th overall. In the weeks leading up to the match, I changed my mind about the game several times. I eventually settled on AFC Rushden & Diamonds v Cambridge City but a few days before Anwar pulled out of coming to go to Hull v West Ham instead. So I relooked at the fixtures, realised that one of the few Conference South teams that I needed to visit, Concord Rangers were at home and decided to go there. As for the game, it was a great contest. Concord quickly took a 2 goal lead but St Ives were unlucky and got a richly deserved goal back. But then disaster from one of their defenders as a terrible passback allowed Sam Higgins to nip in and get his teams third. Higgins was probably the best player on the park, so he deserved his goal. The visitors pulled another goal back and it was 3-2 at halftime. St Ives really looked like they could get back in the second half. But the game changed on a sending off for the visitors Jimmy Dean. It was probably the correct decision, but it put St Ives up against it. For the next period of the game their keeper Nick Bennion pulled off a string of fantastic saves to keep his team in it. Around 5 minutes from the end, St Ives pulled it back to 4-3 and I was really hoping for a replay, but it wasn't to be. In any case, it had been a magnificent game and proof that there is still plenty of magic in the FA Cup. I left just before 5 and after a drive home was back at 6.40. I listened to 5 Live's 606 show and might have to again in future as it was decent. The only downer on the day was Wycombe losing up at Rochdale, but considering they were 3-0 down in 20 minutes, the 3-2 result was not too bad in the end. THAMES ROAD is pretty basic by Conference South standards, looking more at home in the Isthmian League. But it's more than enough for Concord's needs. There is cover behind both goals and the main stand. There are also 3 smaller seated areas, giving a seated capacity of around 500 with cover for about the same again. 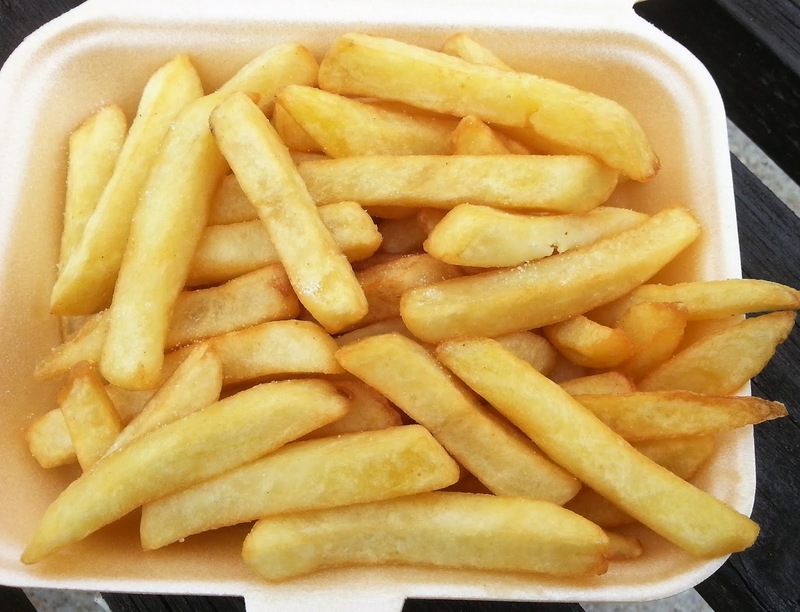 The tea bar and bar are pretty good, which is good as it is a bit far away from any other pubs. They don't have a proper club shop, but they do sell scarves and hats in the bar. I enjoyed my visit there and not just because of the great game.